What Are Frequent Headaches Or Migraines? How Does My Pillow Affect My Headaches? Headaches don’t just hurt. They cause loss of sleep. Headaches have a lot of causes, but many of them are related to the way that you sleep. If they aren’t related, poor support can make the pain worse. A pillow can help relieve some of the tension across your shoulders and neck so that you can sleep easier. If you suffer from frequent headaches, a new pillow may be a necessity. We’ve put together a list of our top picks for the best pillow for headaches and migraines. Also, we’ve answered some questions for what you may need for your headaches and migraines. Chronic headaches are any situation where you experience headaches 15 or more days per month. Longer lasting headaches occur for more than four hours at a time. Tension headaches cause pain that affects both sides of your head, and the pain is usually mild to moderate. Migraines can affect one side of your head but sometimes both. They cause moderate to severe pain with a pulsating or throbbing feeling. Sometimes, other biological symptoms accompany migraines, such as nausea or vomiting and extreme light sensitivity. You should begin to worry if you have regular headaches that occur more than two days per week and don’t respond to your over the counter medication. If your headaches are disabling, this can also be cause for concern. Many headaches are treated by lying down to relax the muscles in the neck and shoulders. The spine can decompress, and light is kept to a minimum to reduce irritation to that optic nerve. Nerves in the upper part of the neck can cause severe pain when irritated. This may feel like a headache, but it’s actually in your neck. It can trigger migraines in the worst case scenario or pain behind the eyes, face, or temples in the best case. Poor positioning can put a lot of stress on those nerves. 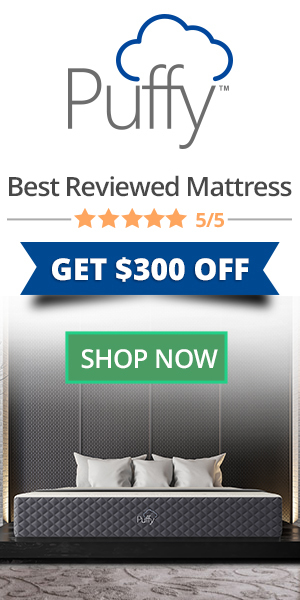 If you haven’t upgraded your mattress yet, you may want to consider doing it. If you have, your pillow can be the last piece of relieving stress on those nerves. If your pillow is too large, it can force your head forward, putting stress on the neck and shoulder while cramping your spine. If your pillow isn’t supportive enough, it can compress the neck and cause strain as your body tries to keep the spine aligned. Neither option is going to do your headache any favors. You need a pillow that will keep your spine aligned, similar to your upright position. This will depend on your sleep position. Stomach sleepers need a pillow with a low loft so the head doesn’t push too far back. It should also be a bit firm to prevent the head from sinking too far into the mattress. Side sleepers should have a higher loft to accommodate the width of the shoulders. Back sleepers need something in between the two to keep the head from getting pushed too far forward or laying too far back. Combination sleepers will need a contoured pillow. It provides an indented surface in the middle for when you’re on your back while the raised sides offer more support when you’re sleeping on your side. Memory foam is excellent for headache and migraine pain because it cradles the head while filling in any gaps around the neck. Your spine can relax, and your shoulders can decompress. Latex is a good option if you have allergies or respiratory issues that can trigger your tension headaches because it doesn’t have any off-gassing or smells the way memory foam can. A combination of shredded and solid memory foam or latex can be useful if you have trouble with support but need the soft feeling of a traditional style pillow. Also, pillows that allow you to adjust the fill may be beneficial for dealing with some types of pain where you may not always need precisely the same kind of support. It may be challenging to consider investing in a pillow, but a good pillow can help relieve the tension in your neck and shoulders. A cheap pillow may feel good on your wallet, but when you lose support in a few months, and your headaches get worse, you’re going to be in trouble. A well-made pillow lasts longer than a cheap pillow, and many of them come with warranties to cover abnormal wear and tear. You won’t have to worry about replacing your pillow every three months or causing more pain because of inadequate support. We recommend investing in a pillow that you know will work with your headaches and neck or shoulder pain. It should have quality materials that last through a few years of use without exhibiting serious indentions or getting lumpy. While expensive doesn’t always equal better, but getting too cheap with your pillow can rob you of some of the significant benefits of a supportive pillow. Now for our top picks. These pillows are supportive and should give your spine space to decompress and relax. Nest’s Easy Breather is a breathable, supportive pillow with shredded latex. It supports your neck and helps open up your airways so you can relax more fully. With proprietary material blends, you won’t find another pillow like this one. Nest uses organic cotton cover materials for better air flow. It keeps the pillow cooler, so you aren’t tossing and turning all night looking for a more comfortable spot. Shredded latex doesn’t emit any VOCs or strong odors, and it feels a lot like the weight and consistency of down. You can mold the Nest pillow into your neck and shoulder well if you like to cuddle with a pillow. It’s OEKO-TEX certified for materials that are safe to use near the skin. It doesn’t use any PBDE flame retardants, and there is no formaldehyde. It comes in several sizes including standard, Queen, and King. The company allows you to try the pillow out for 100 nights before deciding if it’s the right pillow for you. You have a few weeks to see if your headaches subside or disappear altogether. Make sure you give the pillow time to break in for at least 30 days, so you can be sure if it’s the right one. If it isn’t, you can initiate a return any time before the 30 days are over for a full refund. Nest covers the pillow with a lifetime warranty against mattress defects. Your pillow shouldn’t experience any sagging or indentations. It shouldn’t show any abnormal signs of wear and tear. As long as you’re using the pillow for its intended purpose (and who isn’t), you’re covered if something goes wrong. The pillow doesn’t come compressed, so it shouldn’t need any time to inflate before you can use it. The natural latex shouldn’t have any odor, but there may be a slight plastic odor right after you unpack the pillow. Just let it air out for a few hours. Puffy uses a shredded memory foam interior that molds around your head and neck. It can support your head and neck while allowing the tension in your shoulders and neck to subside. The cover materials are a blend of bamboo and rayon. It’s cool to the touch and helps you stop tossing and turning. The interior is shredded memory foam which you can mold around your neck and shoulders to get the right amount of support. It has an interior liner to hold the filler. You can wash the outer layer, and you can unzip the inner layer to customize your amount of fill. Lowering or raising the loft of the pillow can help you find your perfect amount of support. The memory foam is CertiPur-US certified, so there’s not a lot of emissions. Memory foam can have a distinctive smell, but this pillow shouldn’t have much off-gassing to do when first receive it. For most people, that shouldn’t make respiratory reactions worse, or trigger allergy-related headaches. You can try the pillow in your own home for 101 nights. That gives you plenty of time to figure out if the pillow is helping your headaches or not making a difference. Give it a few weeks to break in and to allow old pains to subside. If it isn’t going to work out, you can request a refund any time before the trial period is over for a full refund. You also have a three-year warranty covering pillow defects. Make sure you use the pillow for its intended purpose, so you don’t accidentally void the warranty. You shouldn’t see any compression or indentions in your pillow. The seaming and materials should also be sound for the life of the pillow. If it isn’t, you’re covered. The pillow doesn’t come compressed, so it doesn’t need inflating before you use it, but it may need to air out a little bit from being wrapped in plastic. If you fall into one of these specific categories, one of these pillows may work better for you. They won’t work for everyone but do offer some specific features that may work best for certain situations. UTTU’s Sandwich pillow is a contoured option intended to support your head and neck. It uses memory foam, which is excellent for decompressing the spine. The cover materials are a bamboo blend. Bamboo fabrics are great for breathability and air flow. It helps keep the surface of the pillow cooler, so you don’t toss and turn. It’s removable, and you can throw it in the wash to keep allergens down. The middle is three pound, high-density foam that provides support and a slow rebound. It comes with a high or low loft, but you can remove the middle layer of your pillow to adjust it further. Side sleepers can use the highest loft while stomach sleepers can adjust for the lowest. There is mesh on the sides to improve airflow. The materials are certified by CertiPur-US and OEKO-TEX. It doesn’t use formaldehyde or mercury. This cuts down on the amount of irritants for your respiratory system. You have 96 nights to try the mattress out to see if it’s relieving your pain and tension. Make sure you give it a few weeks to see if the old pain subsides. If it just isn’t going to work out, you can initiate a return for a full refund. You’re also covered by a five-year warranty against mattress defects. If you notice any abnormal wear and tear in your pillow, the company will replace it. You shouldn’t see any indentations or sagging with the pillow. The seams should stay strong and without any frays. It may need to air out when you receive it after being wrapped in plastic. Allow it to air out so that any odors don’t cause a respiratory reaction. The Purple pillow is very similar to the Purple mattress. It uses a unique material to completely reduce the pressure on your head and neck while remaining completely supportive. If you frequently have tension headaches made worse by poor positioning and support, this might be the one for you. It uses a hyperelastic polymer grid arranged in a series of triangle shapes. The arrangement redistributes any pressure from lying down across the surface of the pillow. You don’t feel the tension of laying on your back or side. It’s also very cool. The polymer material is highly breathable and with air pockets in the middle of the triangle grids allows air to flow through the pillow, keeping it cooler. It reduces the time you spend tossing and turning looking for a comfortable position. It remains firm around the edges, filling in the gaps around your neck and putting your head in the correct position. The center is softer, so your head sinks further to a comfortable position. You don’t lose any support whether you’re on your back or on your side. It keeps your spine aligned and similar to the position it would be in when you’re upright. Purple allows you to try the pillow out for 100 nights to see if it helps your pain. It’s a really different type of pillow, so you should give it at least 30 nights to see if it’s the right one for you. Your body can have time to adjust, and old pain can subside. If you decide it isn’t the right one for you, return it before the trial period for a full refund. Purple warrants their pillow for one year against pillow defects. You shouldn’t notice any sagging or indentations in the material. If you lose support or if the material begins to crack, the company will replace your pillow for you. It doesn’t come compressed, so you won’t have to wait for it to inflate. However, it may need a bit to air out after having been wrapped in plastic for a while. When you’re down with a migraine, a cervical support pillow can help your head get into a better position as you’re resting. The indentation in the middle encourages your head to relax in a more natural position. Your spine can decompress, and some of the pressure can come off your neck and shoulders. It’s excellent for combination sleepers or back sleepers. The taller sides fill in the gaps around your neck. It’s adjustable so you can add or remove the filling as your needs and preferences change. It uses hypoallergenic materials that won’t cause respiratory reactions or skin issues. It’s a little firmer than a classic, fluffy pillow. If you want the classic fluffy pillow, this one may not be it. It does give you solid support and discourages moving around. If you’re immobilized by your migraine, it does put you into a more comfortable position on your back or side. You may not feel as compelled to change position. Check with your seller for individual return policies. You may be able to find one that will give you a few days to try the pillow out to see if it helps your pain. Also, check for individual warranty information for pillows that show defects. Headaches and Migraines don’t have to slow your sleep down. The right pillow position your head and neck to relieve pressure and tension, help the spine decompress, and the shoulders to relax. Relieving the pressure should help you get some relief from chronic headaches and some of the pain of your migraine. If you’ve upgraded your mattress recently, it’s time to consider how your pillow helps you get into the proper sleep position. Your head will thank you.